When you nail your questions to the Door! What happens when you nail your serious Spiritual concerns and questions to the door of your Church? Well, if your name is Martin Luther, then you are seen to have started the Reformation. Even though the 31 October is marked as Reformation Day (and this year is the 500th Anniversary), Luther was not the first to mobilise radical changes in the Church, and nor will he be the last. In fact, some scholars argue that Luther's intention in nailing the 95 Theses to the door was to provoke debate, rather than 'draw a line in the sand'. Luther could not have known where his strong beliefs and convictions would have taken him, but he was adamant that he needed to speak the Truth. He never wanted to see the Church divided by his actions, but it ended up that way. 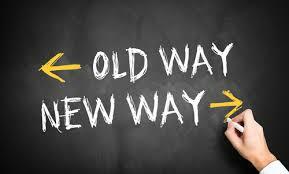 Reformation, Renewal, Revival - whatever we call it - is necessary at times and often there are painful changes that need to be made. 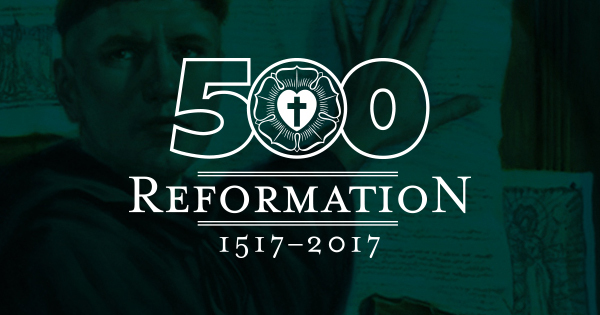 And so, as we all mark the 500th Anniversary of that eventful day, may we be challenged to ask the Spirit what needs to be Reformed in our hearts. Perhaps a Reformation needs to take place closer to home? 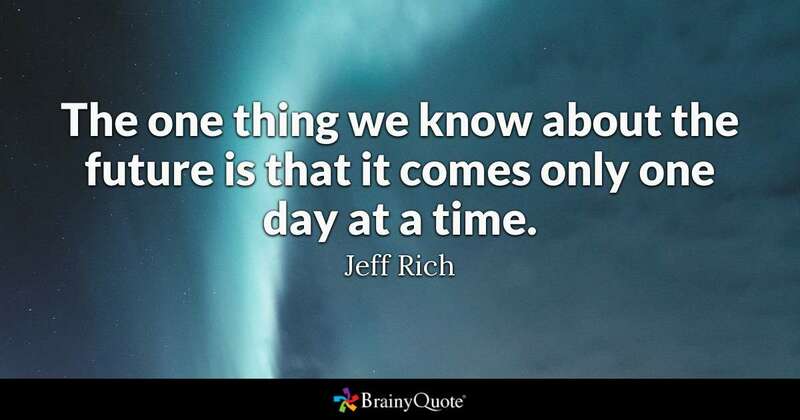 When there are so many different issues, demands, emergencies trying to grab our attention, the best advice is still to take life, ONE DAY AT A TIME. Today we celebrated Thanksgiving Sunday in our Church Community. It was a pleasure and privilege to hear so many encouraging testimonies of Thankfulness. Keeping with this theme, I have included a few lovely quotes. 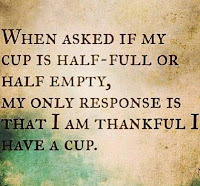 Enjoy your day and remember to be THANKFUL, even if it is for at least one thing. 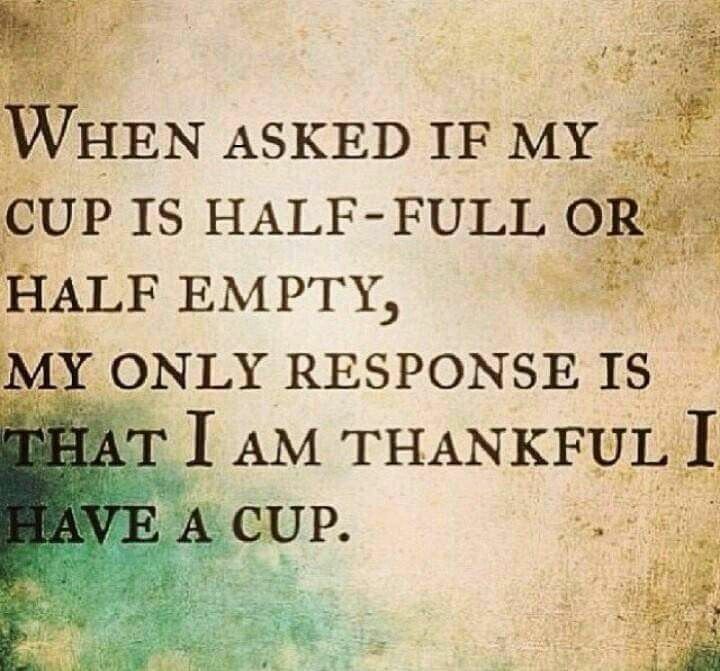 1 Thessalonians 5:18 - "Be thankful in all circumstances, for this is God’s will for you who belong to Christ Jesus." —the way to heaven; how to land safe on that happy shore. God himself has condescended to teach me the way. For this very end He came from heaven. He hath written it down in a book. O give me that book! At any price, give me the book of God! I have it: here is knowledge enough for me. Let me be homo unius libri. Here then I am, far from the busy ways of men. I sit down alone; only God is here. It is interesting that Wesley wanted to be homo unius libri (a man of ONE book), yet he encouraged all his members and preachers to read as widely as they could. It was just that when it came down to the crunch, Wesley expected us all to be STUDENTS of the bible first and foremost. 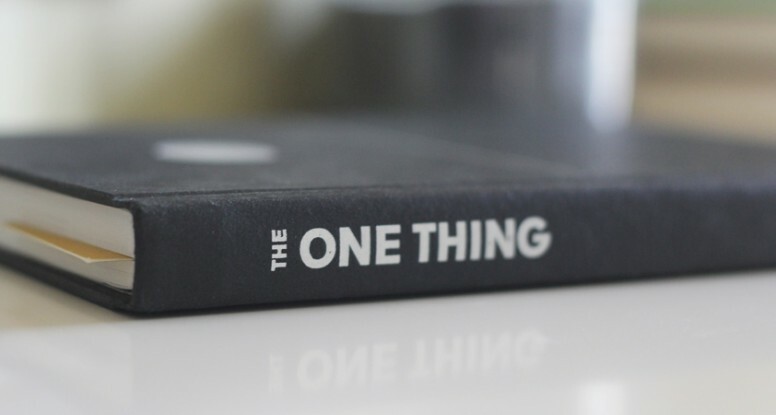 The other books should inform and add to what we have started reading in the Word. When you are 'out and about' today take note of how people are interacting with their Cellphones. It is a very interesting exercise. The thought that popped into my mind this morning was this: "Am I using my phone as something to serve my purposes and to make my life easier, or have I became a servant/slave to my phone." In essence am I the master or servant in this new relationship? The thing is that phones are here to stay, even if we don't like it, but we need to wrestle with the role that they play in our lives. If we can learn to remain in charge and to use the device for our purposes, then they will remain an integral part of our daily interactions. However, if they start to demand more and more of my time and eventually 'call all the shots', then I need to recognise I have a problem. Luke 16:13 - “No one can serve two masters. For you will hate one and love the other; you will be devoted to one and despise the other. You cannot serve God and be enslaved to money (or perhaps cell phones)." The word 'Despair' means that we are 'without Hope' or that there is an 'absence of Hope.' 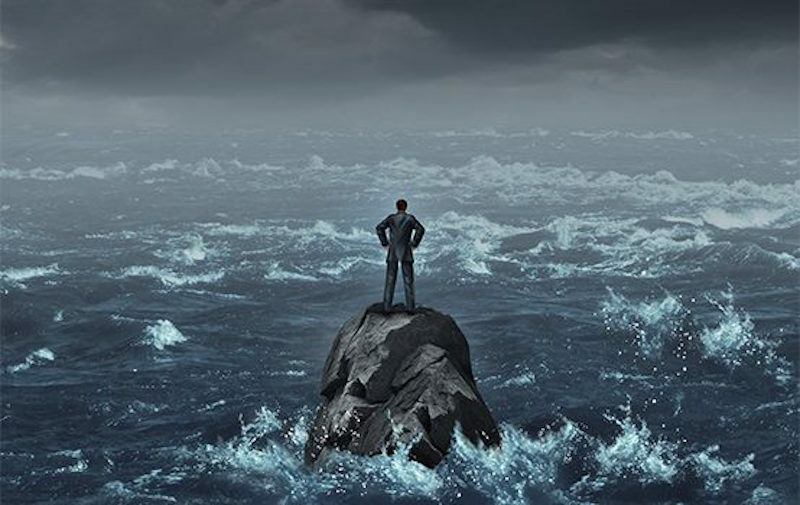 We can all relate to feeling like this at times, but the Good news is that we don't need to get to the that place, if we have Jesus by our side. He is the HOPE we so desperately seek. 2 Corinthians 4:8 - We are pressed on every side by troubles, but we are not crushed. We are perplexed, but not driven to despair. Psalm 40:2 - He lifted me out of the pit of despair, out of the mud and the mire. He set my feet on solid ground and steadied me as I walked along. May you not be driven to Despair today, but rather into the safe arms of Jesus. In his famous quote, Thomas Edison acknowledged the presence of God in an unusual way. He said, "When you see everything that happens in the world of science and in the working universe, you cannot deny that there is a 'Captain on the bridge.'" 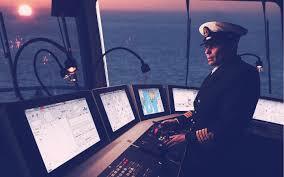 For many of us, that Captain on the Bridge is our Creator. We also call him Jesus. Isaiah 40:28 - The Lord is the everlasting God, the Creator of the ends of the earth. 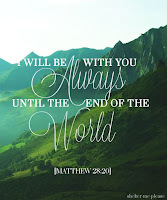 He will not grow tired or weary, and his understanding no one can fathom. Ever wondered why some people are just better at certain things than we are? 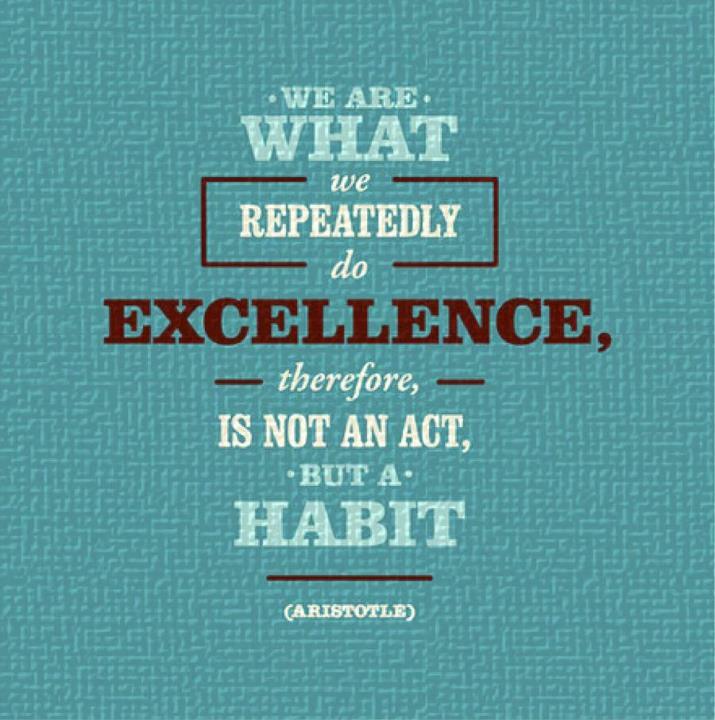 It may even seem unfair at times, but if you look at the quote from Aristotle you will see that he reckons it has to do with habitual discipline. Obviously, if someone is a good sportsman or an actress, they have a large amount of god-given talent, but most of these people spend hours, months and years honing their skills. 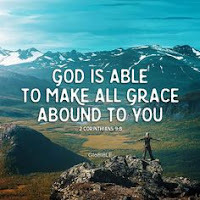 If we take the premise of this thought, it could imply that we can become better Biblical scholars, prayer warriors, youth leaders, worship leaders, musicians, and disciples of Christ, if we habitually spent more time on these areas. I am not sure how you feel about this, but on some levels it makes complete sense to me. As an example, the only way I will ever understand more about the Bible is if I am committed to reading it, studying it and learning from others. This takes a deliberate discipline and an act that I am willing to following through with. 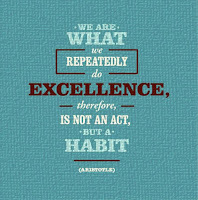 What is God asking me to spend more time refining, so that I can be 'excellent' for his Kingdom? 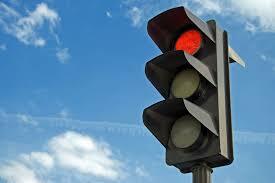 I don't want to exaggerate, but I think I witnessed around 8 people 'jumping' red traffic lights today. And this was at 8 different times in the day and at different intersections. Each time I just shook my head and wondered when this will ever stop. Look, I have been through a few yellow/red robots in my life and so I am wary of being judgemental, but these people were going through RED, RED traffic lights - after everyone else had stopped already. Sadly, I think it won't stop, but it just reminds me of how easy we get used to sin. We start by speeding up when we see the lights change yellow. We then start jumping the yellow all the time. Yellow becomes just like green for us. Then after a while, we speed up when we see the yellow change to red. Then we start jumping reds more often. Then we try and nip into the left/right lane while our light is red, before the cars reach us. Sadly, we may only change our behaviour when we get smacked by another car or we kill someone else. But by then, sin has taken its hold on us and we are comfortable living in our sin. Romans 6:12 - "Therefore do not let sin reign in your mortal body so that you obey its evil desires." make us willing to change. How easily are we willing to admit we are wrong? And when we are right, do we take great delight in rubbing someones nose in it? 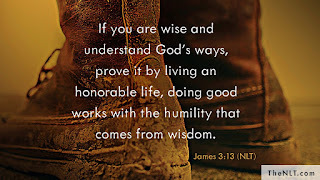 True humility is a rare trait to find, but it is worth pursuing in our own lives. 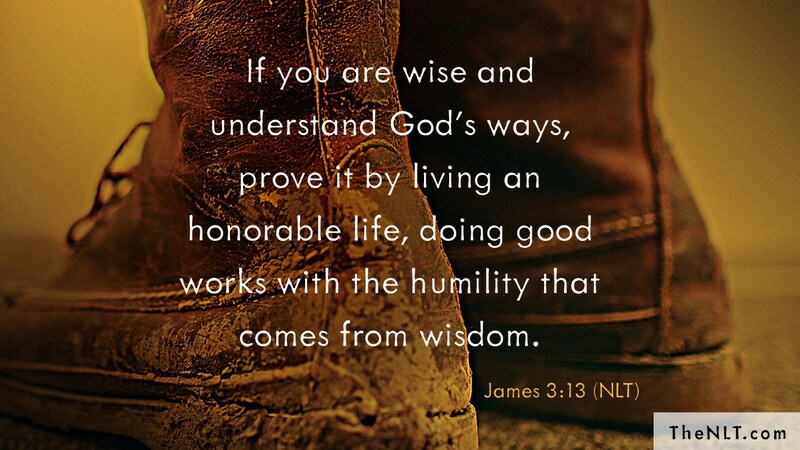 James 3:13 - "If you are wise and understand God’s ways, prove it by living an honourable life, doing good works with the humility that comes from wisdom." Is there anything that lies beyond the reach of prayer? Well, my gut response is NO - what do you think? OK, so perhaps there are a few things that lie beyond the reach of our prayers. More specifically the things that God won't answer are the very things that are not part of God's plan for us. As Peter was writing to the church struggling with persecution, trials and tribulations, he wanted the believers to know that God still cared for them. 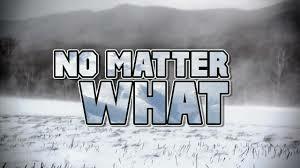 In fact, he wanted to encourage them with the glorious Hope that 'NO MATTER WHAT HAPPENS' God would still be with them. I think this is such a valuable conviction for us to embrace today, especially when we can easily lose sight of the grace of God. 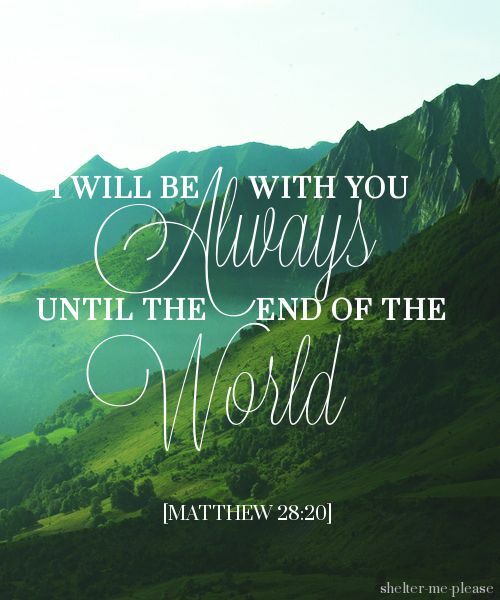 If you are struggling with something today, then hold onto this promise. If you are doing ok, but feel someone else needs to be encouraged them forward this verse to them. 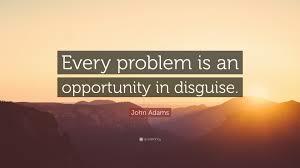 Lord, may you help us to see every problem as an opportunity to see your hand at work in our lives. 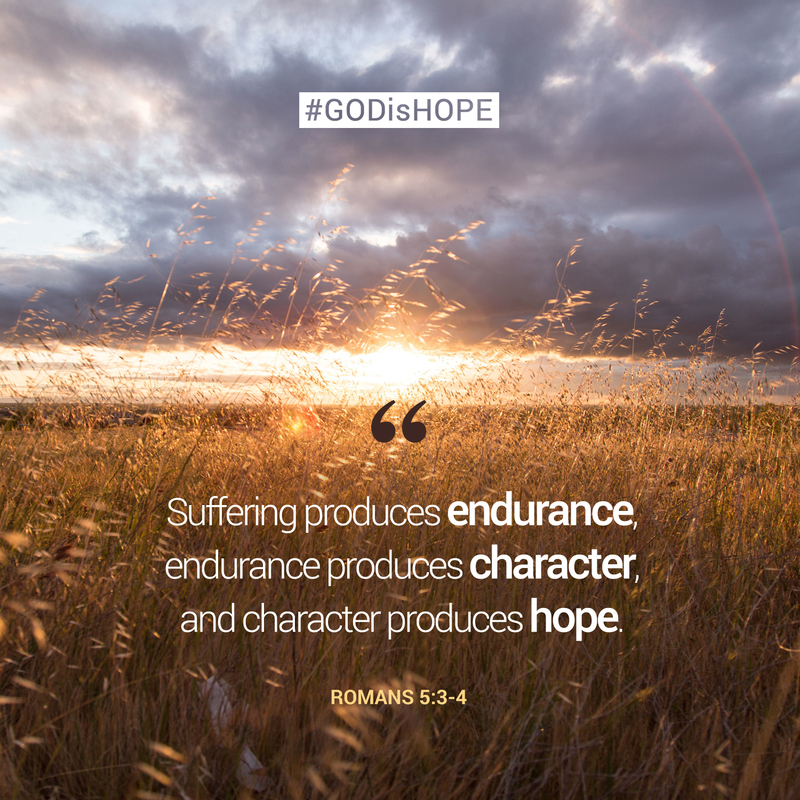 Romans 5:3 - We can rejoice, too, when we run into problems and trials, for we know that they help us develop endurance. So what mountain is God going to help you climb today? Following God means that we often have to go against the flow. The decisions and agenda of the rest of the world may be very different from the way that Jesus has called us to live. This NEW WAY is tough and it may take an incredible amount of effort and sacrifice, but it is because we have been called to follow a different leader. As we commit to this NEW WAY may we be blessed with courage and perseverance. 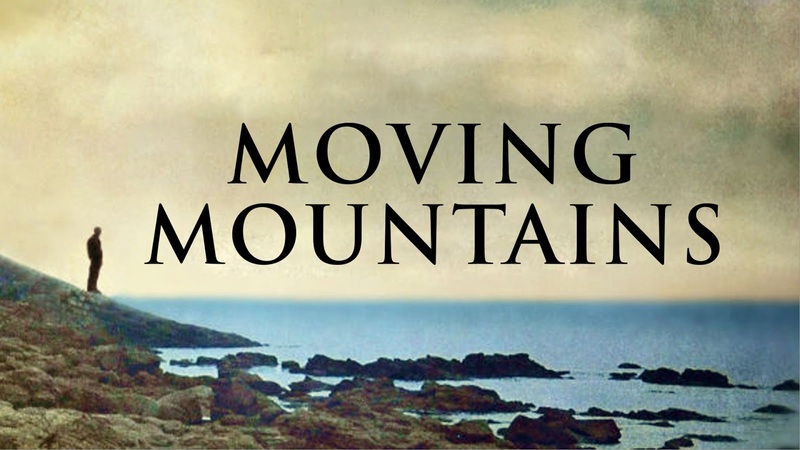 "Lord, I've never moved a mountain and I guess I never will. All the faith that I could muster wouldn't move a small ant hill. Yet I'll tell you, Lord, I'm grateful for the joy of knowing Thee, and for all the mountain moving down through life You've done for me. When I needed some help you lifted me from the depths of great despair. And when burdens, pain and sorrow have been more than I can bear, you have always been my courage to restore life's troubled sea, and to move these little mountains that have looked so big to me. I love this piece of writing. It reminds me that I may never move mountains on my own, but that Jesus can do immeasurably more than I can imagine or even hope for. Being a Christian is not easy at times. There are many people that think we are crazy to believe in God and especially to believe in the person of Jesus. It is even hard to try and fully explain why we believe and what we believe, because people seem to have their arguments all neatly packaged. Despite all of this, it is still a great privilege for me to be called a "Christ-ian" - or "little Christ." I really enjoyed this verse from 1 Peter 4 over the weekend - it reminded me not to feel ashamed of what I believe it. 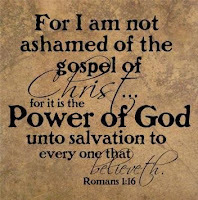 Romans 1:16 - For I am not ashamed of the gospel, because it is the power of God that brings salvation to everyone who believes: first to the Jew, then to the Gentile. 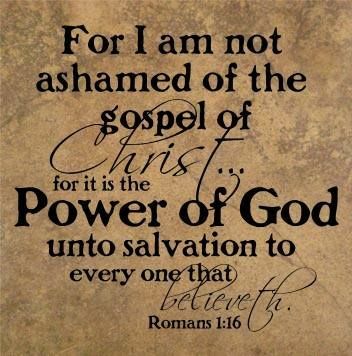 There is NO shame in following Jesus. When Jesus came to earth it was a reminder that God cares enough about us to 'stoop' to our level so that we can be rescued. 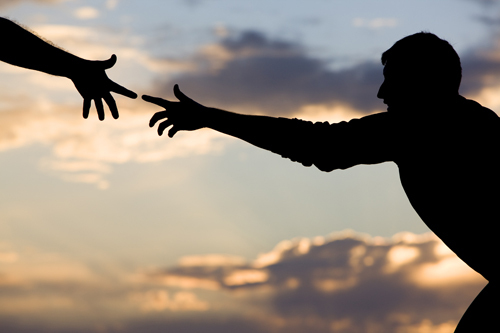 In response to God's grace, how can we CARE, STOOP and RESCUE? This age old question seems to haunt us: Why does God allow suffering? I am not sure what you think of David's thoughts on this, but his words were borne from his own trials and sufferings, so I suppose they are his take on the issue. In the end, we have to put our lives into the hands of Jesus and to trust in his goodness. It seems like a simple answer, but perhaps that is all we can do. 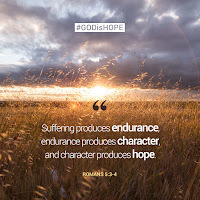 Romans 5:3-5 - Not only so, but we also glory in our sufferings, because we know that suffering produces perseverance; 4 perseverance, character; and character, hope. 5 And hope does not put us to shame, because God’s love has been poured out into our hearts through the Holy Spirit, who has been given to us. What do you make of these words? but when Jesus is absent, all is hard." I find these words quite reassuring today, because it is our natural inclination to run away from trials and hardships, or at least to play it safe. However, LIFE always presents us with struggles and it is then that we need to remember that God is present with us. Sometimes we get ourselves into all sorts of difficulty. It can be of our own making or else at the hands of someone else. Usually we begin by trying to dig our way out of the situation, but this can end up having the opposite results - It may get us into even more trouble. As Warren Buffett suggests, we could stop digging ourselves deeper into trouble and ask for help. Perhaps there is someone who is able to lift us out of the pit. I know that God is always willing to assist us in getting back onto our feet. 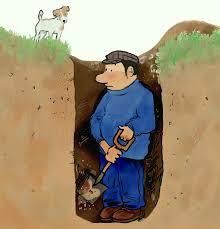 Have you stopped digging long enough to ask God for help? 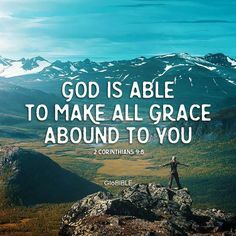 I am always wary of advocating anything like 'works' in our Christian lifestyle, because we are certainly NOT saved by what we can do - it is all thanks to the Grace of God. However, when you read the above quote, it does speak a lot of truth into how we should be 'revealing' our Christian lives. If I claim to have turned from my old life (Repentance), yet I am showing no evidence of a NEW life, then surely there is something wrong? "Yes, just as you can identify a tree by its fruit, so you can identify people by their actions." 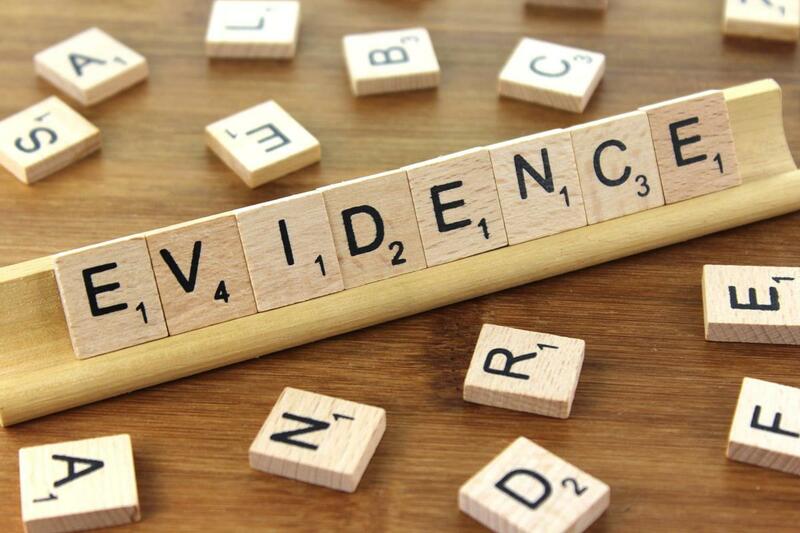 Is there Evidence of our NEW life in Christ? If not, then perhaps we haven't quite turned from our old lives as yet? In reality, Love is willing to overlook insults and hurt in order to restore a relationship or friendship. The chance to make a 'mountain' out of the injury is always present, but Love chooses to take a different route. 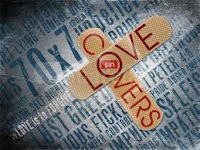 Peter wrote these words in 1 Peter 4:8 - "Above all, love each other deeply, because love covers over a multitude of sins." As you read these words today, is there someone who has hurt you? Are you willing to allow God's love to fill you and to help you 'cover' the pain that has been inflicted upon you?